Hot on the heels of the recently launched AMG A45 w176 facelift aero kit comes the brand new RevoZport Mercedes w177 AMG A Class aero kit. Described by Mercedes as the benchmark in the compact class. The all-new A Class is as youthful and dynamic as ever, but grown-up and comfortable like never before. It completely redefines modern luxury in the compact class whilst retaining its the sporty appearance. 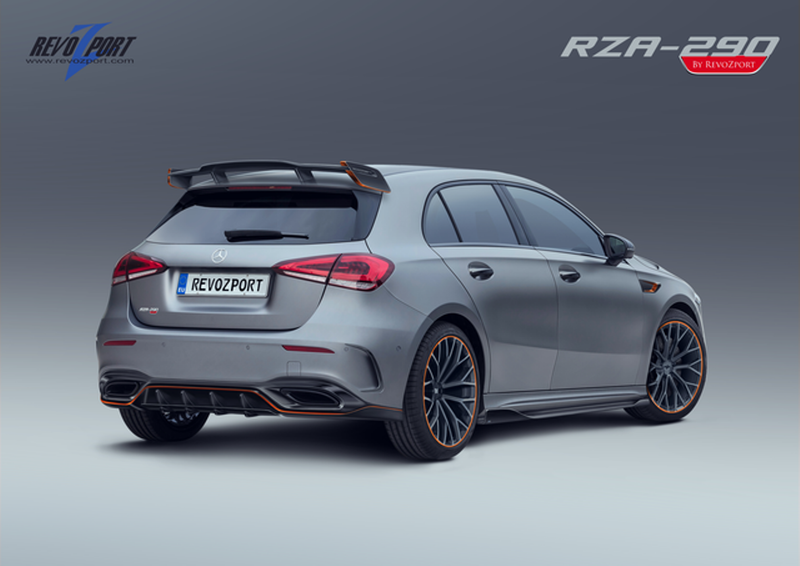 RevoZport have taken their design cues from this sporty appearance and continued to speak the language of Mercedes to create a compelling aero kit that enhances the overall look and sleek lines of the car whilst offering superior improvements to the aerodynamics. Branded as the RZA-290 this new aero kit has been sculptured to show the car with a little more muscle. This new kit puts the ‘Fun back in Functional’. Each hand made Carbon Fibre component has been custom designed to create the perfect balance of style and technology. Which constantly delivers increased downforce, minimizes drag and allows for better handling so ensuring continued aerodynamic grip. Further refinement to the Aero Kit have included the clever use of a Red accent to highlight the fluid lines of the kit in tandem with those of the car. Front add-on Splitter with uniquely designed side uprights to deliver better airflow. 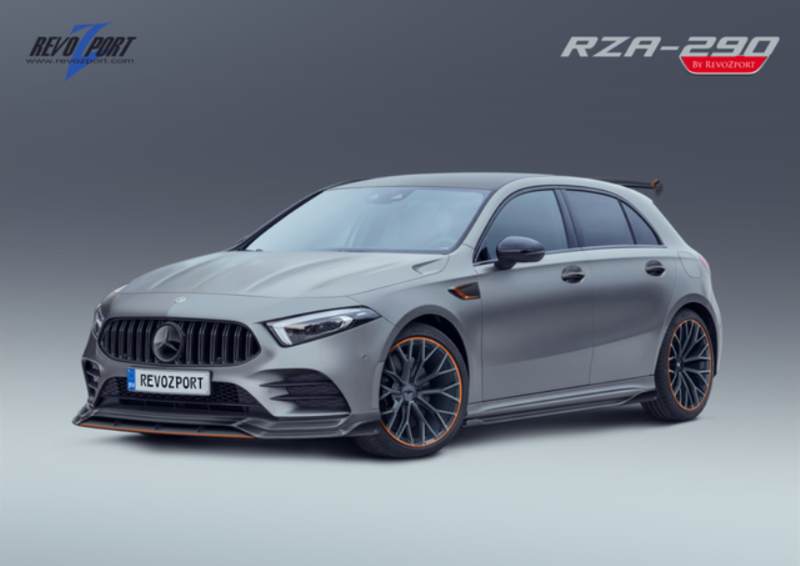 Created exclusively for the Mercedes w177 AMG A Class, the brand new RZA-290 Aero Kit serves to confirm once again the RevoZport design team’s on-going commitment to all things AMG. This has been further demonstrated with the introduction of an ECU upgrade that boosts the power to 30hp with the help of a lightweight Titanium exhaust system. The RZA-290 is the very latest Mercedes development from the RevoZport design studio and is scheduled for release during the 2nd quarter. The RZA-290 kit will be available with a choice of options including; Gloss or Matte finish, the exclusive RevoZport Forged Carbon finish and with Red Accent highlight. Prices start from $3,300 for the Stage 1 kit.